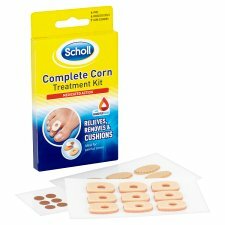 How is the Scholl Corn Treatment Kit different? Warning: Do not use if: You have diabetes, severe circulatory disorders or nerve damage. If you are sensitive to aspirin or any of the ingredients. 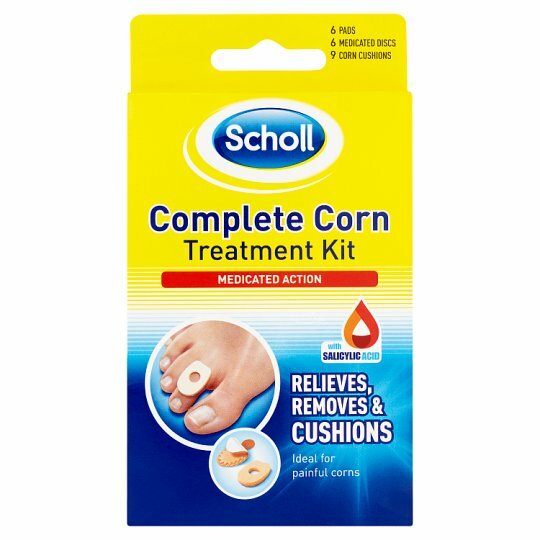 If the area around the corn is inflamed or broken. Do not apply to normal skin. Do not use for more than 2 weeks, except on medical advice. Do not use on children under 16 years, except on medical advice. Caution: Avoid use during pregnancy or whilst breast feeding, unless prescribed by your doctor. Skin irritation or rash may occur if applied to healthy skin. If this happens remove the product and temporarily stop using it, and when the irritation has subsided carefully reapply only to the corn. Contact your doctor or pharmacist if any other side effects occur. Advice: Keep out of the reach and sight of children. Do not use if carton seal is broken, or after the expiry date printed on pack.